Edinburgh-born London-based saxophonist who has toured and performed with the legendary British trumpeter Humphrey Lyttelton eight-piece band. 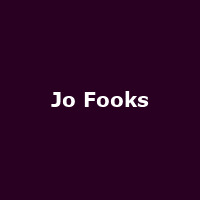 Jo also recorded and worked with Acker Bilk and played alongside Tina May, Joe Temperley, Scott Hamilton, Elkie Brooks,and many others. Jo and her quartet (featuring Ted Beament-piano, Dave Cliff-guitar, Ed Harrison-bass, Buster Birch-drums) released the latest album titled 'Back for More' in 2011.